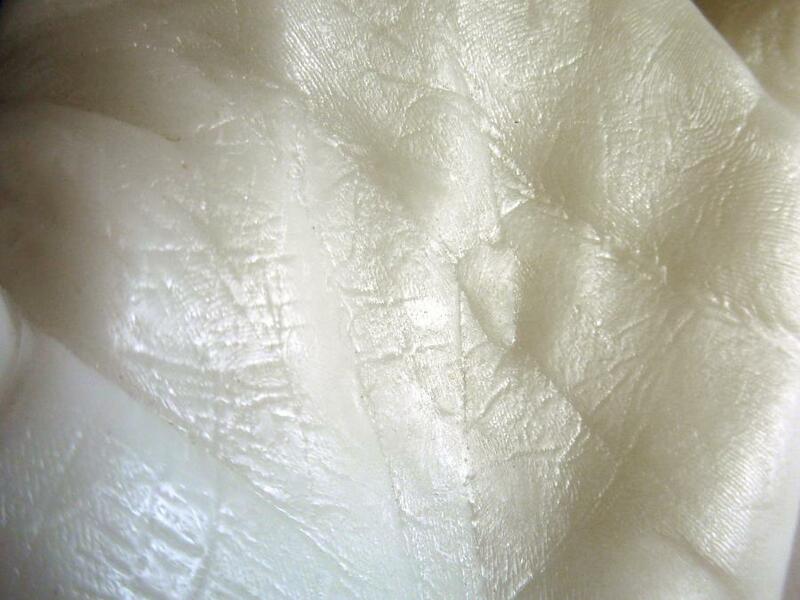 You can use Plastimake to make a mould of an object. 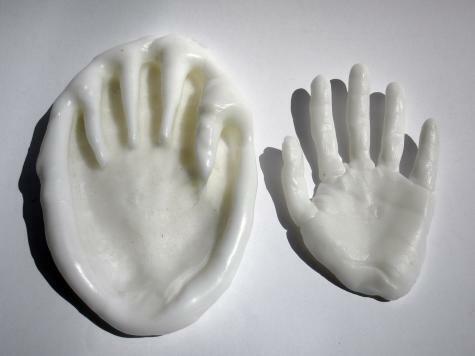 The cool part is that you can then use Plastimake to create a replica of the original object in the Plastimake mould. 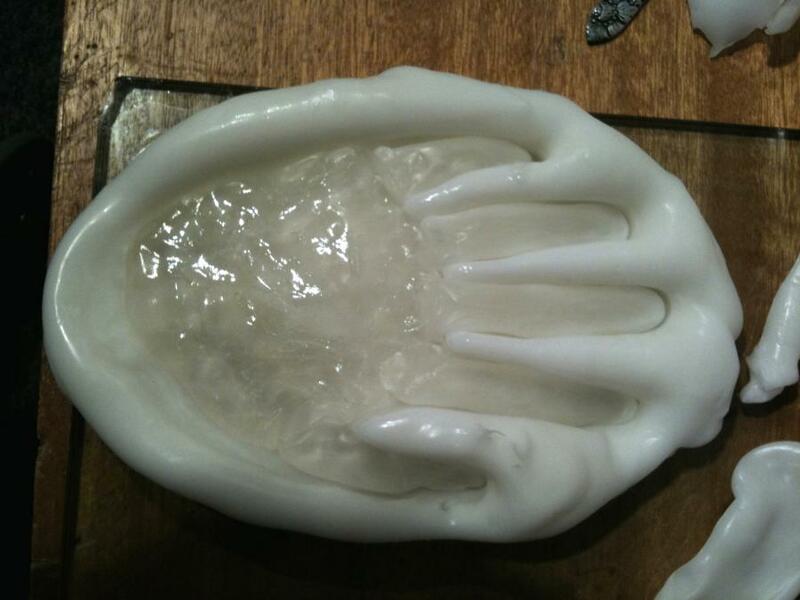 In this case we took a mould of Pete's hand. Once the mould had cooled sufficiently, he removed his hand and the mould was cooled further in the freezer. Freezing the outer mould makes it less likely that the Plastimake you insert will fuse with the mould. A little Vaseline was added to the mould to ensure it didn't fuse. Warm Plastimake was then inserted into the mould and allowed to cool. The level of detail in the final product is very high, you can see the skin folds clearly enough that you could read someone's palm!